3in1 drawing board case magnetic includes:26 magnetic letters 20 magnetic numbers ..
New style Fashionably color Enlighten your IQ Enjoy this trying together with y..
1. Contains tray for storing accessories (pencils, pens, markers). 2. Folds for easy storage. 3. 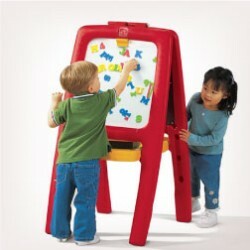 D..
FeaturesLittle artists will have an art-tastic time drawing and creating masterpieces with th..